Charles Cantu leads the Digital Marketing Accountability session. This was the message delivered at MASB Summer Summit in Boston last week during the Digital Marketing Accountability session presented by MASB Advisor Charles Cantu. 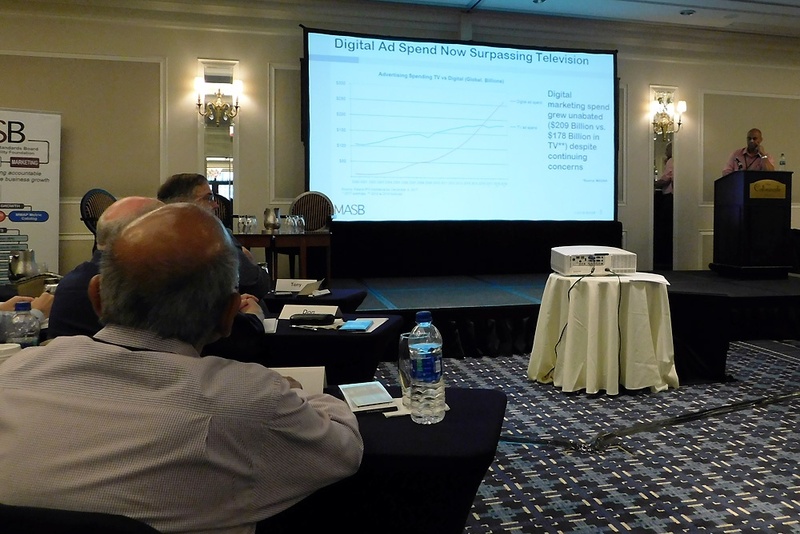 After showing that digital ad spending now surpasses television while the ability to measure digital ROI has lagged, Cantu presented the results of two Emerging Issues panels conducted in the past year during Forbes-MASB Executive Forum events in New York. MASB, the Marketing Accountability Standards Board, is preparing to launch a digital marketing accountability project to address the priority issues with both academic and practitioner members. If there are other digital marketing issues that you feel should be addressed by the project, send a message to info@themasb.org.